What exactly are Chakras? How do they function? How can they be worked on? 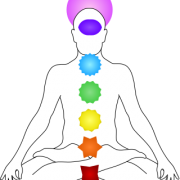 This article will look to answer these and other key questions regarding them, as well as give an overview of each of the Chakras that make up the Kundalini Seven Chakra System. Although, books can easily be written on this topic this document will concentrate on providing the most important aspects of this profound science. Charkas are the center piece of the Yogic Energetic model of man. Chakra, which literally means wheel, is best thought of as a Multi-Dimensional Energy Vortex. By multi-dimensional I mean that a Chakra bridges across the many dimensions that make up a human being. According to Yoga there are 4 bodies that constitute a complete human being. These are the physical body, psychic or astral body, the mental body and finally the causal body. Chakras reside in the astral body, and serve as transformers to move energy between these various bodies. The astral body can be thought of an etheric double of the physical body. Through it runs a vast complex of channels (nadis) that carry the energy of life (prana, chi or life-force). The quality and quantity of prana flowing through the nadis determines the health of the Chakras with reside there. The Chakras, as we mentioned are energy vortexes. They are opened and balanced by this flow of prana. 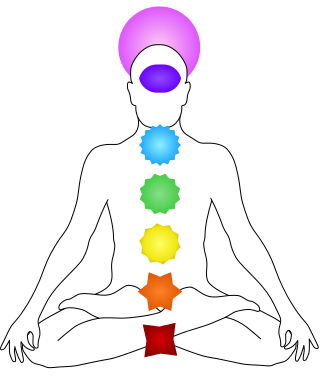 The Chakras lie along the spine from the base to the top of the head and there are seven main Chakras. Each of these Chakras govern the physical region where they are situated and also, are responsible for certain emotional and personality traits. As they are properly activated and energized by the correct flow of prana, the corresponding physical regions are rejuvenated and emotions of a higher quality are embraced. The seven Chakras and their main areas of influence, both physical and emotional are given below. The format is Chakra Name: Location: Primary Physical Influence: Primary Emotional/Personality Influences. Now that we know what Chakras are and what they do, lets see how we can work on them. The key to opening and balancing Chakras is by purifying the Nadis of blockages and increasing the flow of Prana. This is best done through the use of Yoga and Pranayama. Yoga, specifically Kundalini or Kriya Yoga, and Pranayama are the essentially the science of Chakra Activation. They are designed to systematically dissolve the debris that collects and blocks the flow of energy through the nadis. When the flow increases, the Chakras are opened and, over time, become optimally balanced. This leads to higher levels of awareness and consciousness — which is to say that it leads to a human being achieving their highest potential.